So Valentine’s Day is around the corner and you’re looking for something sweet for that special someone in your life? You also aren’t looking to sell your kidneys after already spending all that cash during the holidays? 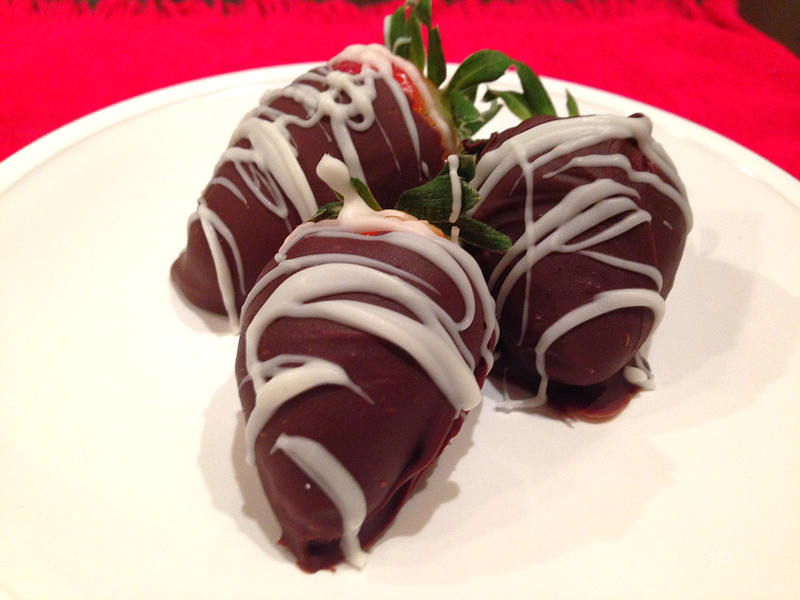 Homemade gifts are the way to go, and nothing could be more delicious, impressive, and secretly easy to make than these chocolate covered strawberries. It’s amazing anyone buys them because they’re truly simple, fast, and all of the ingredients are readily available. 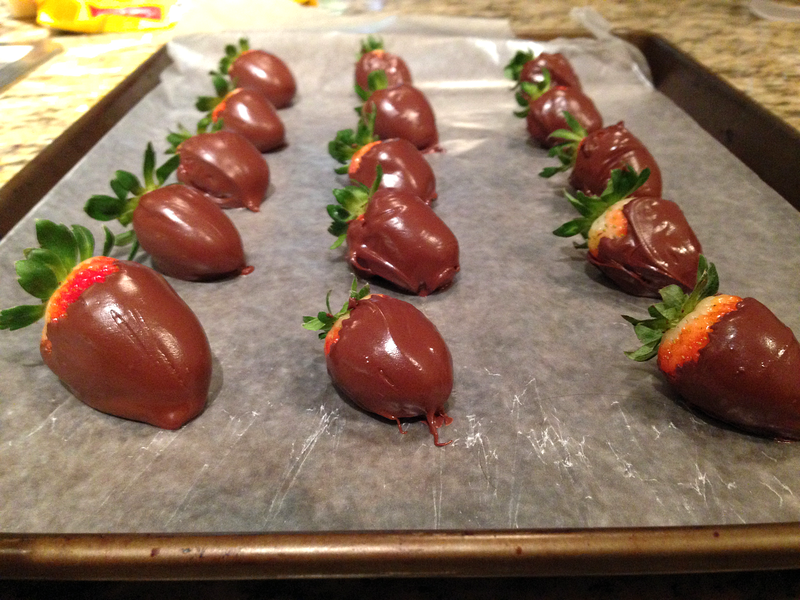 You can make them as fancy or as simple as you’d like, using multiple types of chocolate…adding sprinkles perhaps? Uh, yum. 1. 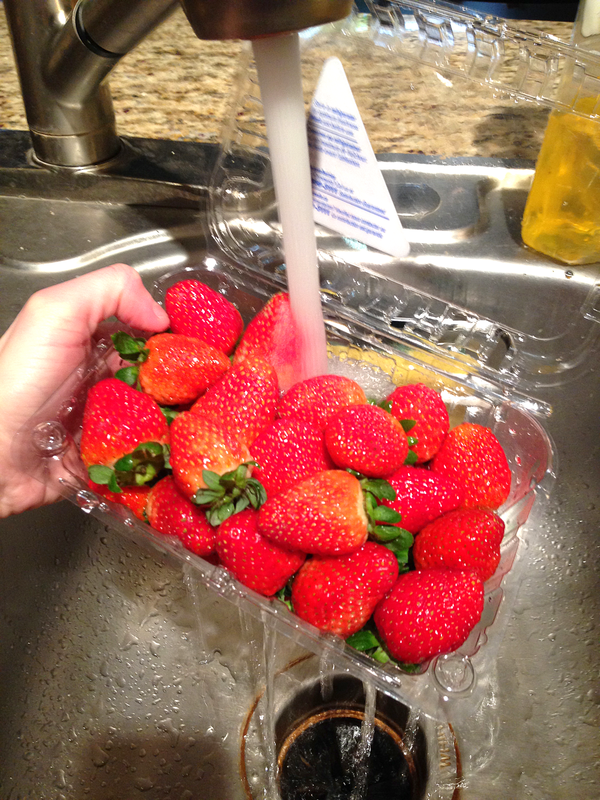 Wash all of the strawberries and pat them dry with a paper towel. 2. 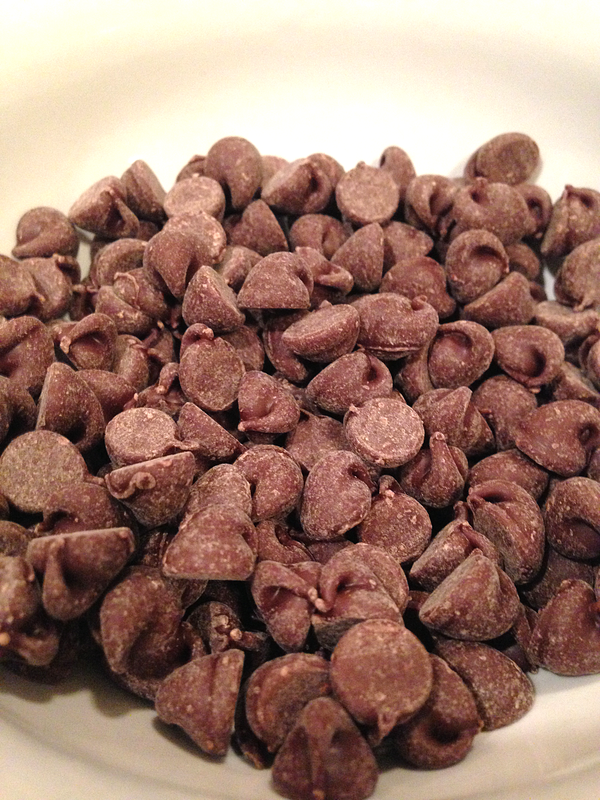 Pour the semisweet chocolate chips into a microwavable bowl and put them in the microwave for 1 minute on high. After the minute, take the bowl out and stir it up. 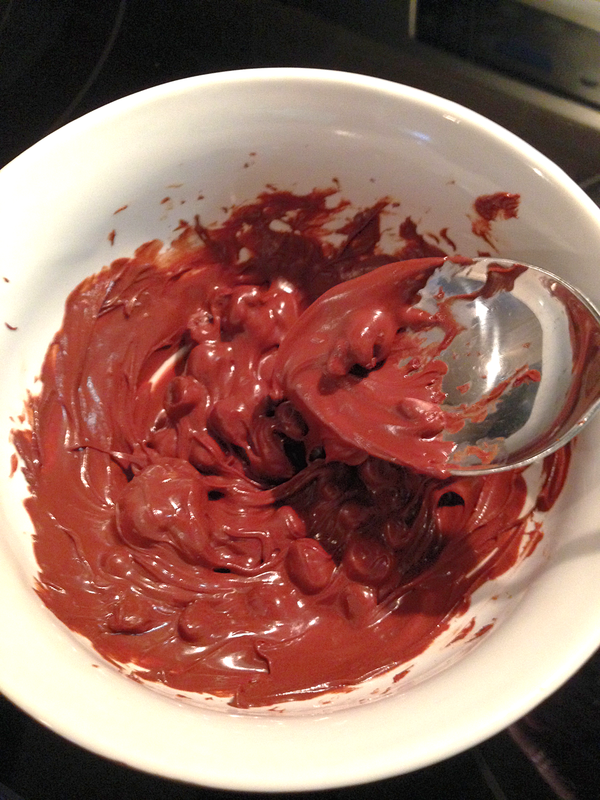 Continue to put the bowl back in the microwave for 30 second intervals and stir in between every time until the chocolate chips have all melted. Make sure to stir them well so they do not burn! 3. 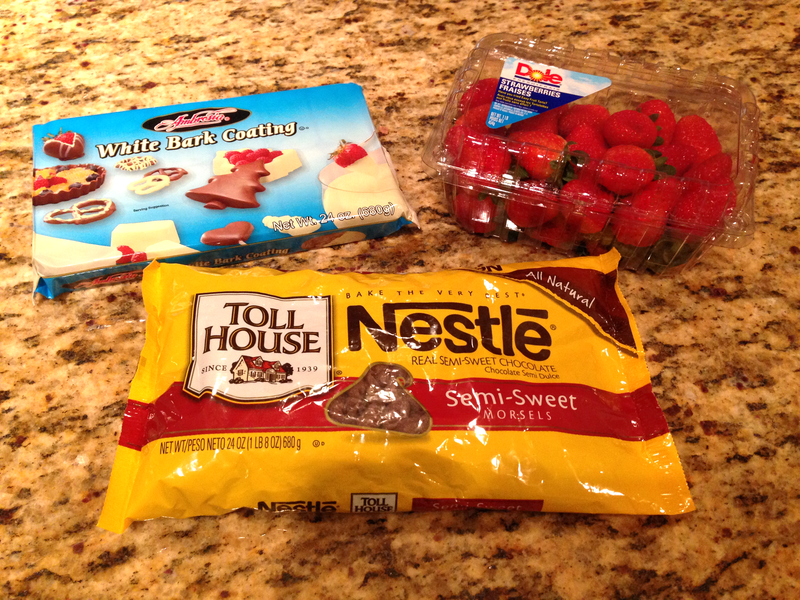 Get your prep station ready with the chocolate, strawberries, and a baking sheet with waxed paper over the top. 4. 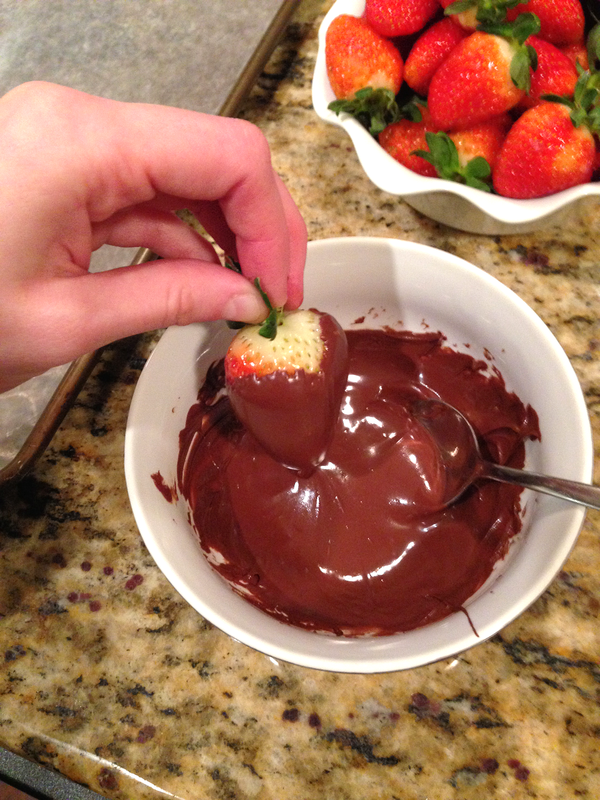 Take the bowl of melted chocolate and dip each strawberry, turning it in the chocolate to make sure you coat it fully. 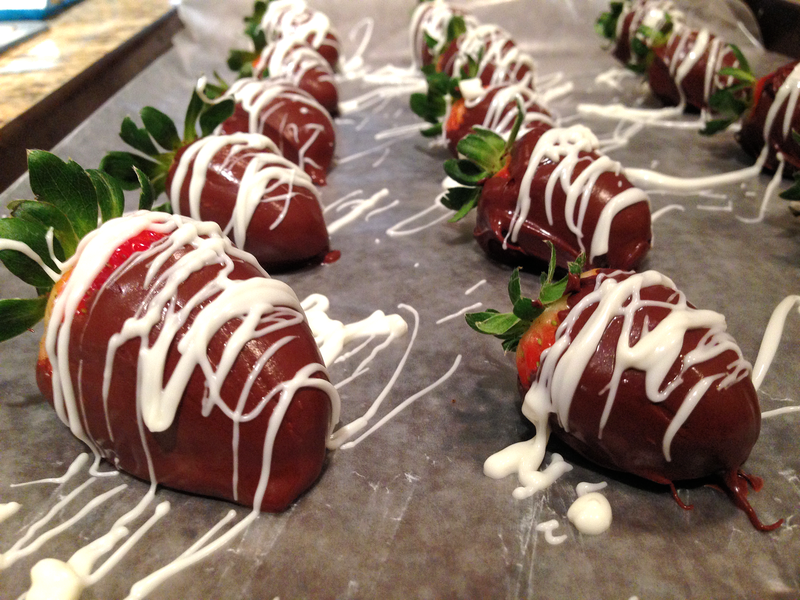 Place the strawberry on the waxed paper covered pan, and repeat the process for each strawberry. The key is to keep the chocolate soft and liquefied. If the chocolate starts to harden up after sitting out, pop it back in the microwave for 15-30 seconds to warm it up again. 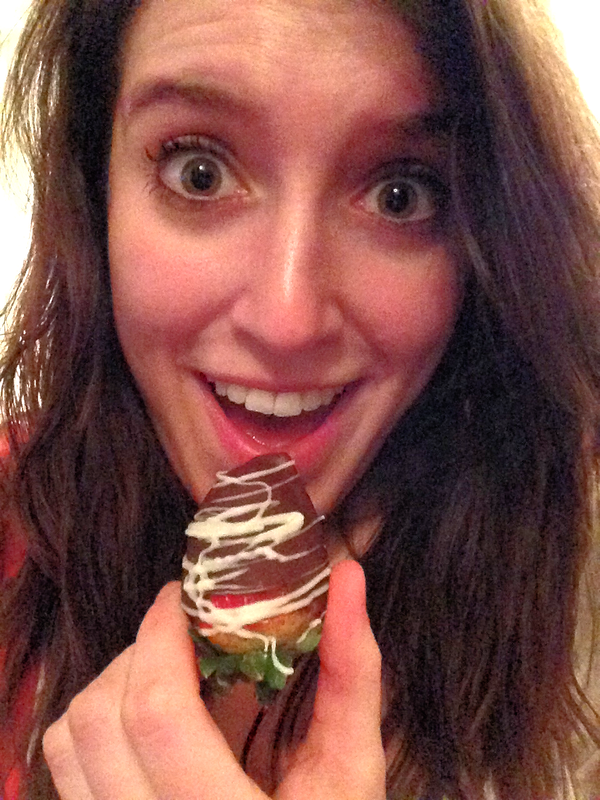 The softer the chocolate, the evener the coating on the strawberries! 5. 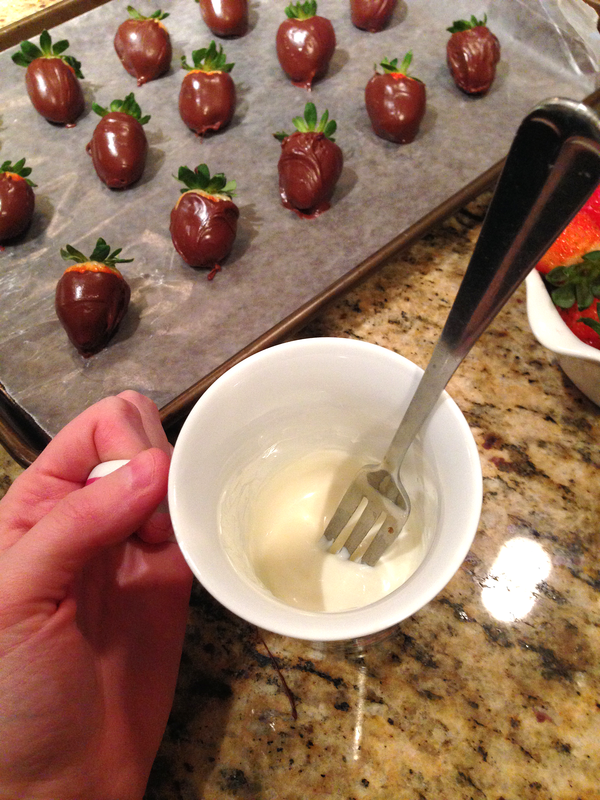 Once you have coated all of the strawberries in semisweet chocolate, take out a white bark cube (or an 1/8 cup of white chocolate chips) and place it in a microwavable mug. Using a mug instead of a bowl gives you a deeper level of white bark so it is easier to splatter it on the strawberries. Place the mug in the microwave and heat on high for 1 minute. After the minute, take the mug out and stir. Continue to heat up the white bark for 30 second intervals and stir in between every time until it is all melted. 6. Take a fork and dip it in the white bark. 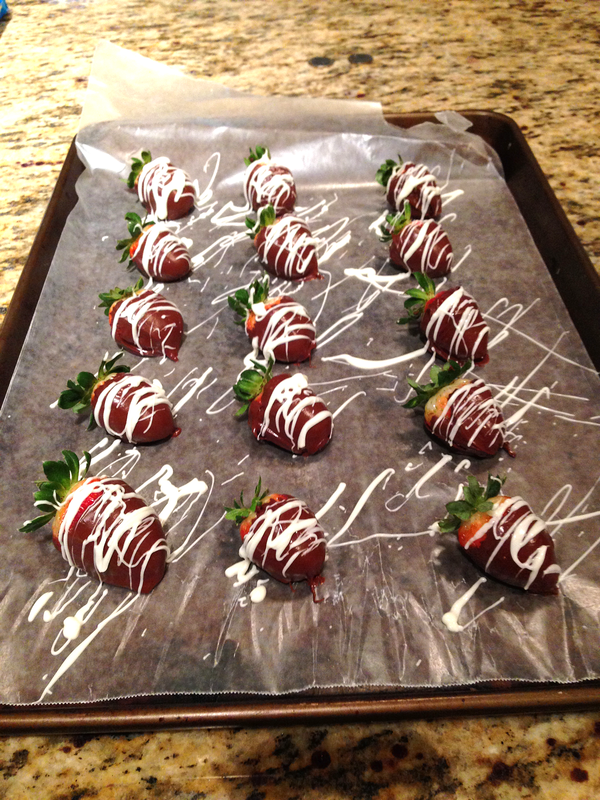 Quickly shake the fork over the strawberries in a horizontal motion to create splattered lines over them. 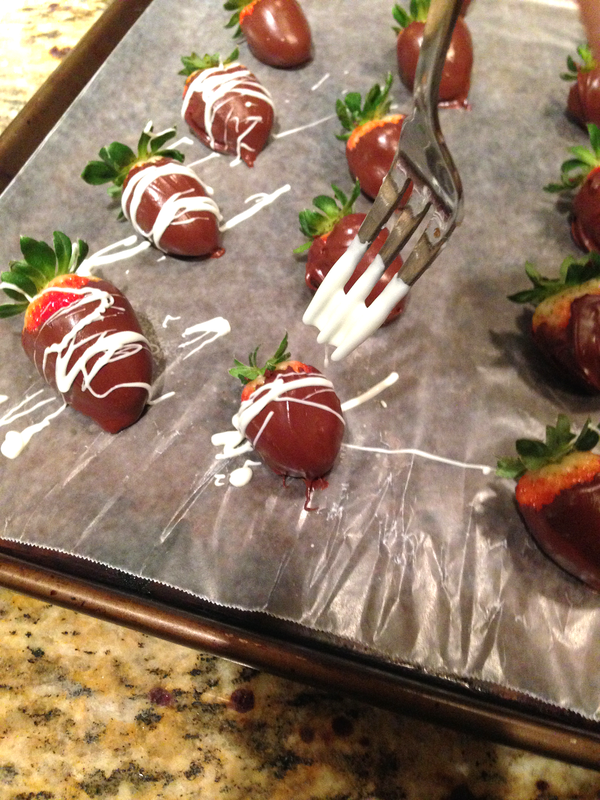 This part can get a little messy, but the strawberries look better the more you splatter! 7. Once fully splattered, place the tray in the refrigerator for at least 15 minutes. 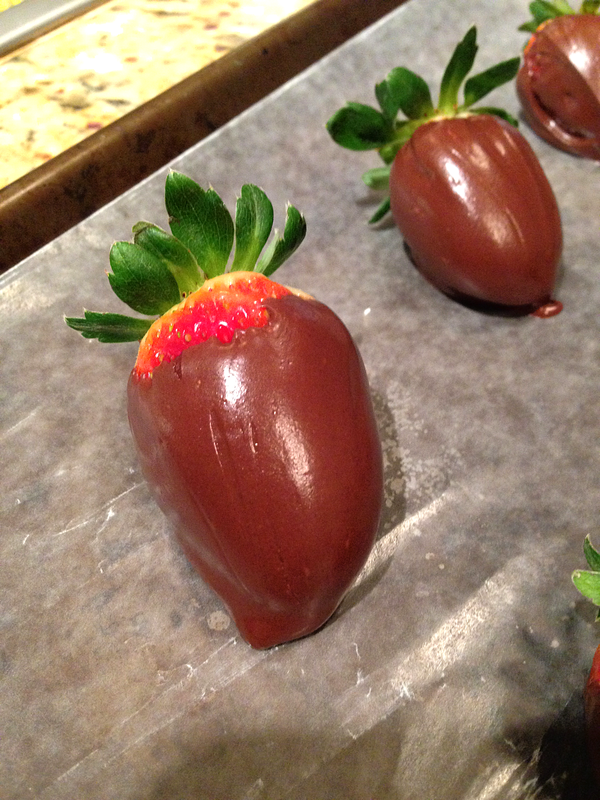 Once they have cooled and hardened, they can be served or packaged up and given as a gift! 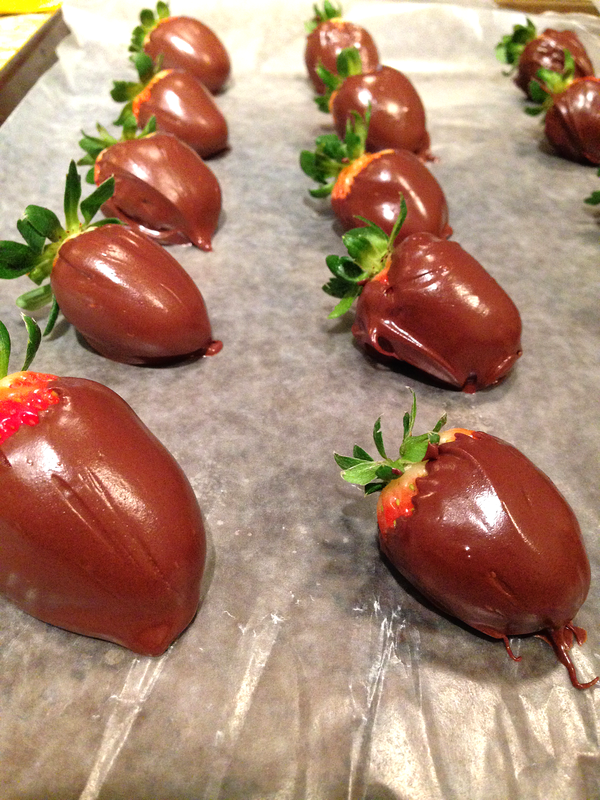 Keep the berries refrigerated at all times and try to eat them up in the next few days! They really only last about 3 days tops before getting wilted. 4. 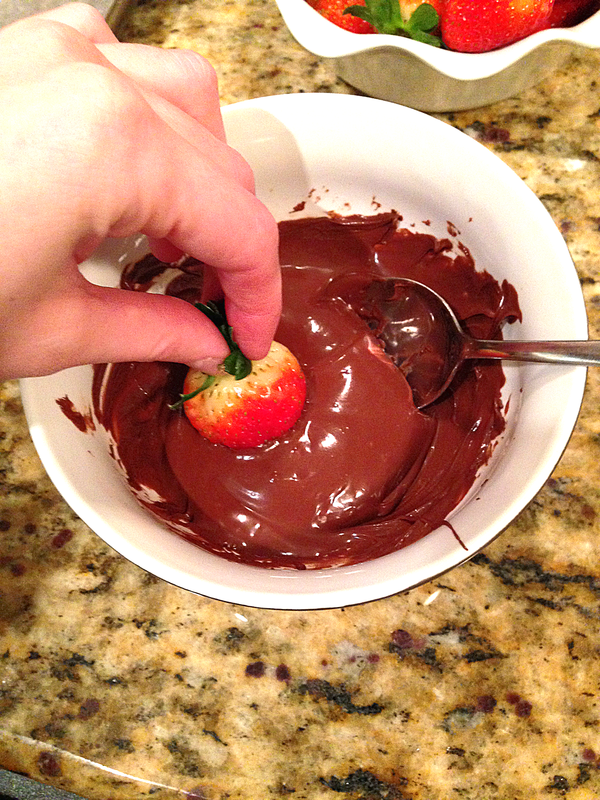 Take the bowl of melted chocolate and dip each strawberry, turning it in the chocolate to make sure you coat it fully. 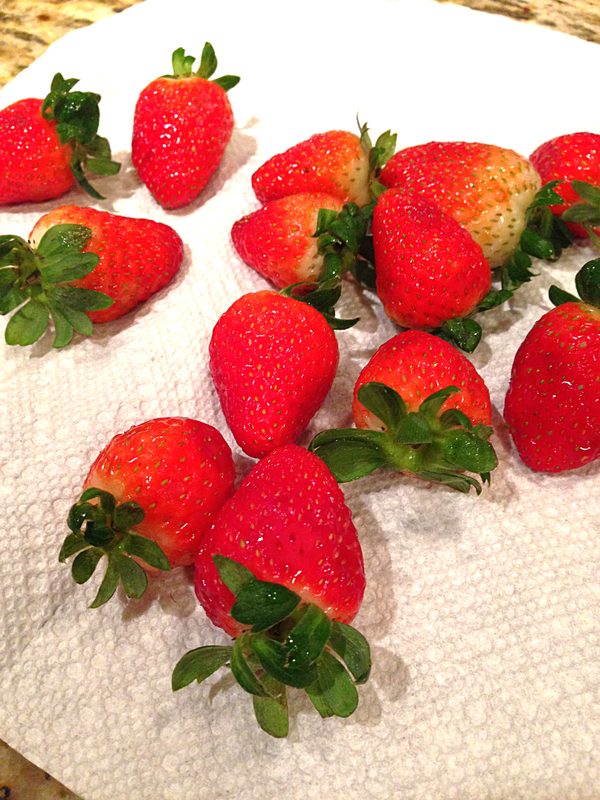 Place the strawberry on the waxed paper covered pan, and repeat the process for each strawberry. The key is to keep the chocolate soft and liquefied. If the chocolate starts to harden up after sitting out, pop it back in the microwave for 15-30 seconds to warm it up again. 7. Once fully splattered, place the tray in the refrigerator for at least 15 minutes. 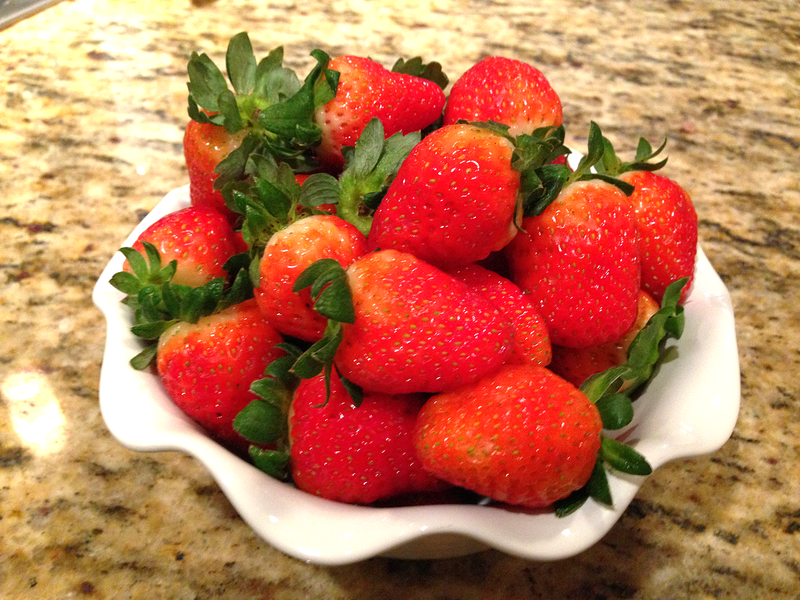 Keep the berries refrigerated at all times and try to eat them up in the next few days! They really only last about 3 days tops before getting wilted.